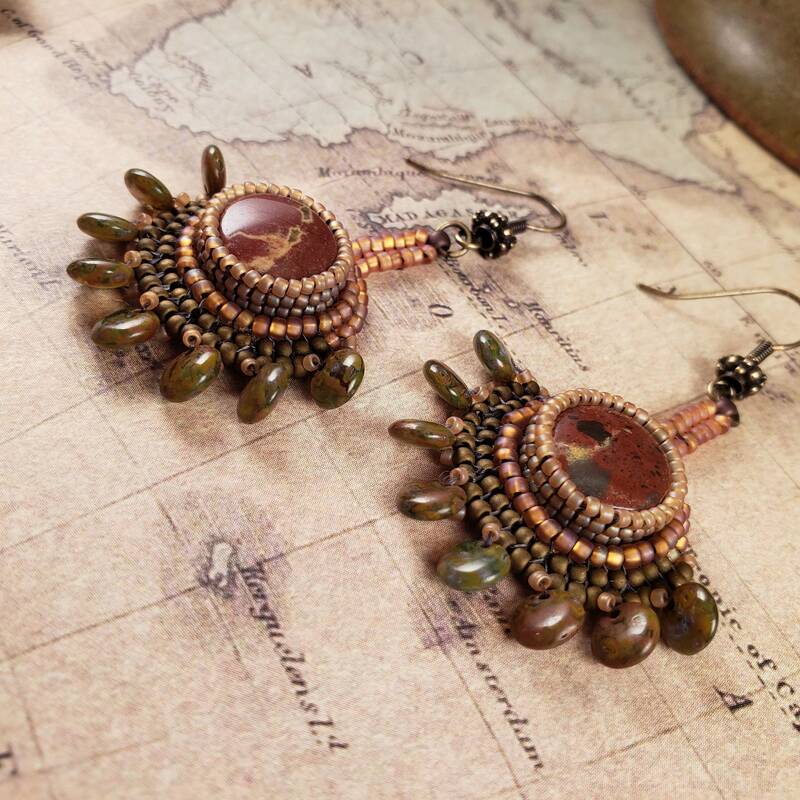 Boho with an Egyptian flare. 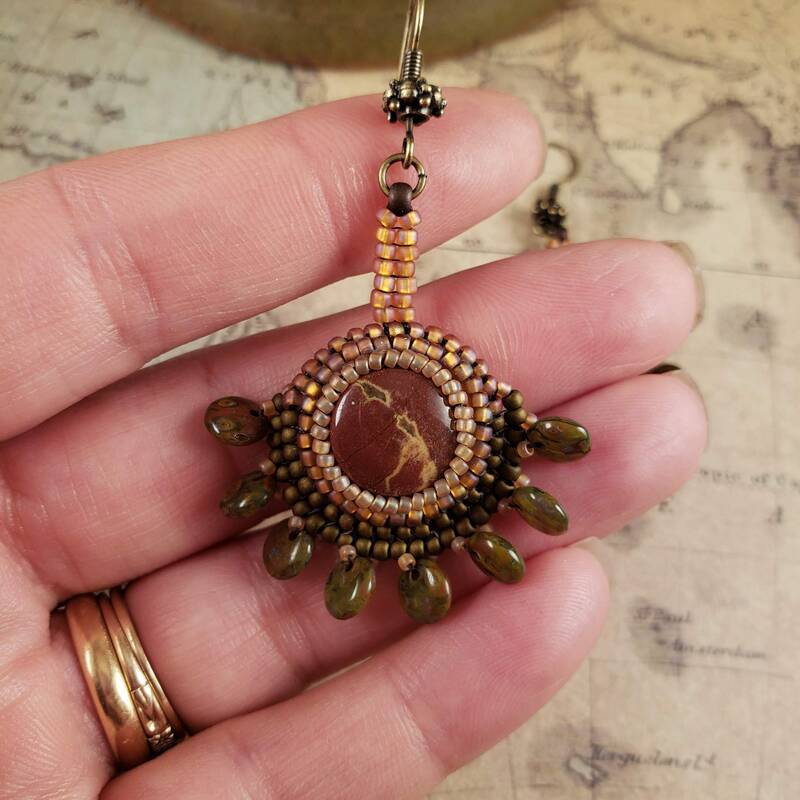 Hand bead embroidered Red Apple Jasper natural stone earrings. Beaded with copper and matte gold Japanese glass seed beads. 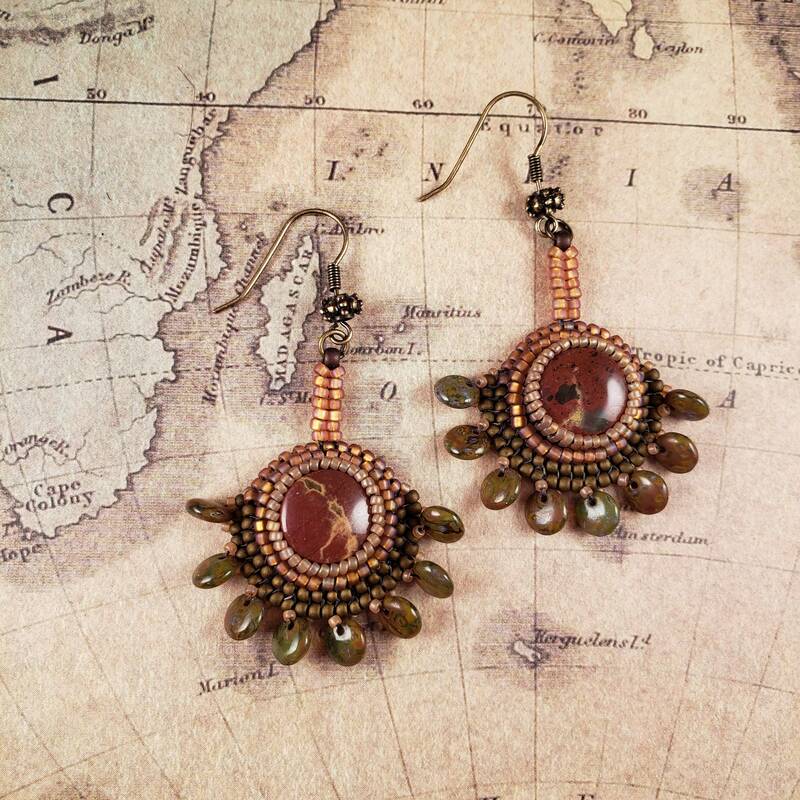 Olive Picasso style Czech glass disc fringe.